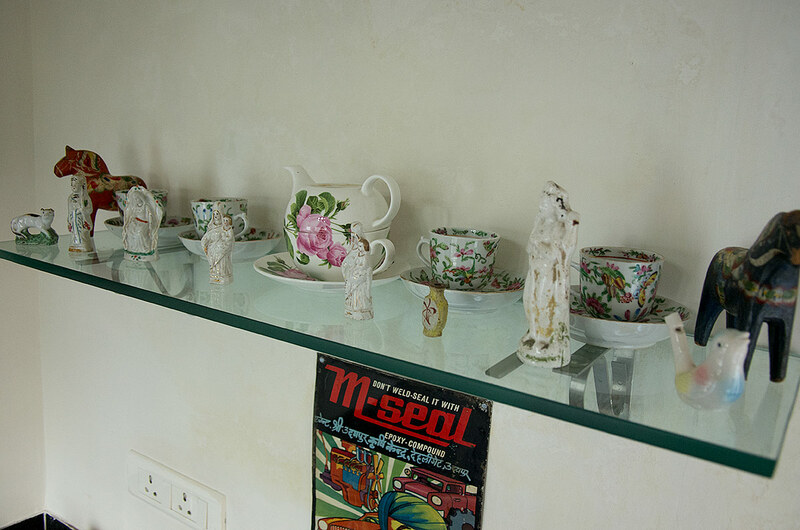 The Lakeside apartment is the first and second floors of Rosie’s Retreat. 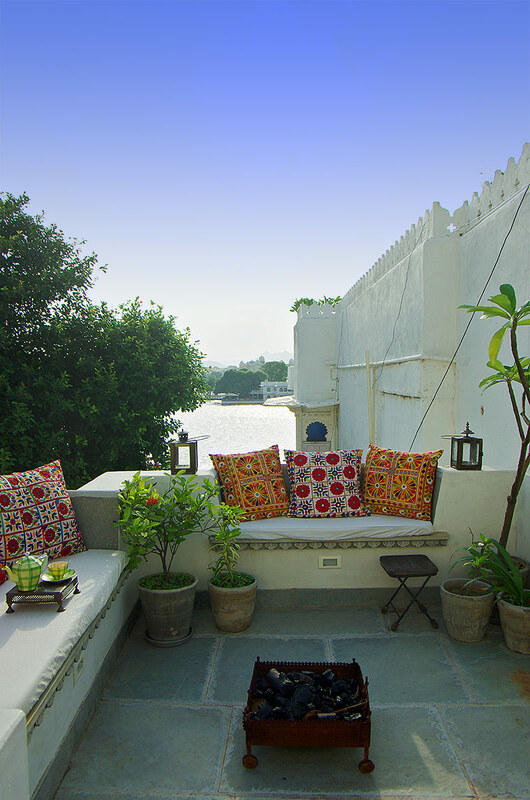 It has a fully equipped kitchen for guests who wish to self-cater and its own private roof terrace overlooking Pichola Lake. 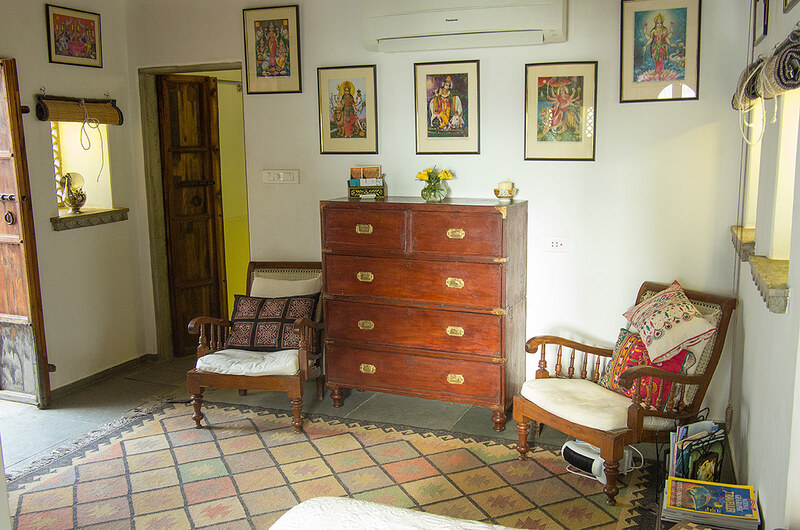 The apartment is suitable for one couple and has all modern facilities such as air conditioning, 24 hour hot water and Wifi. 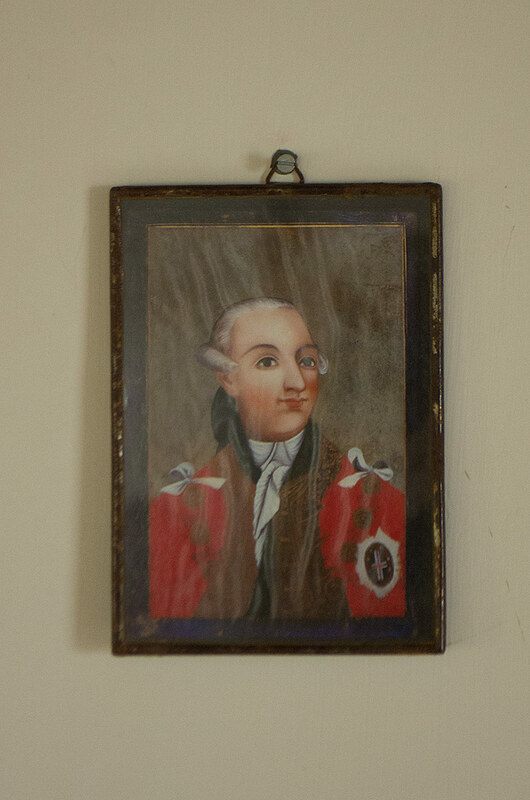 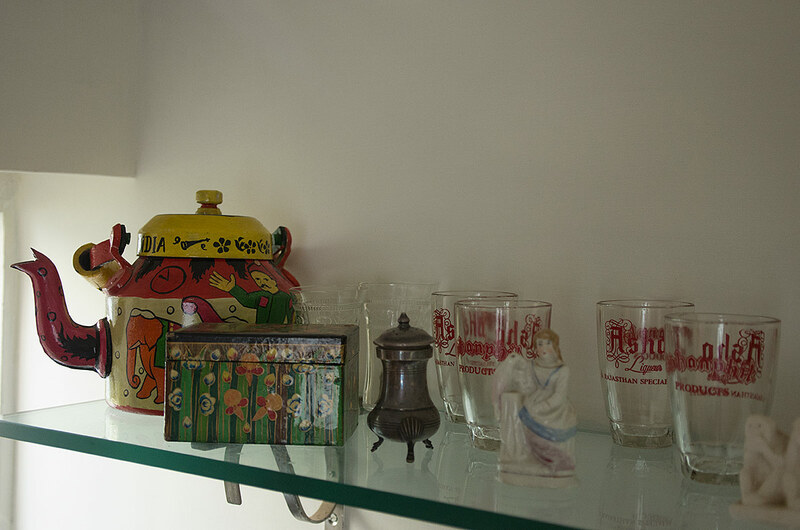 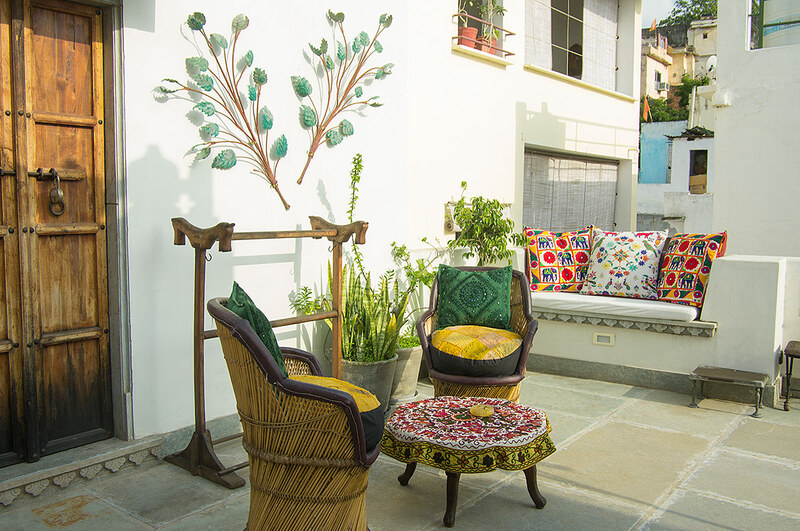 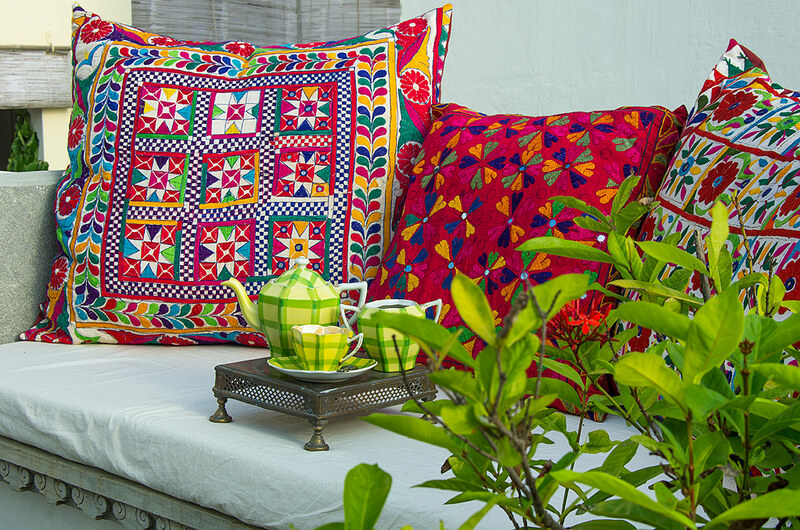 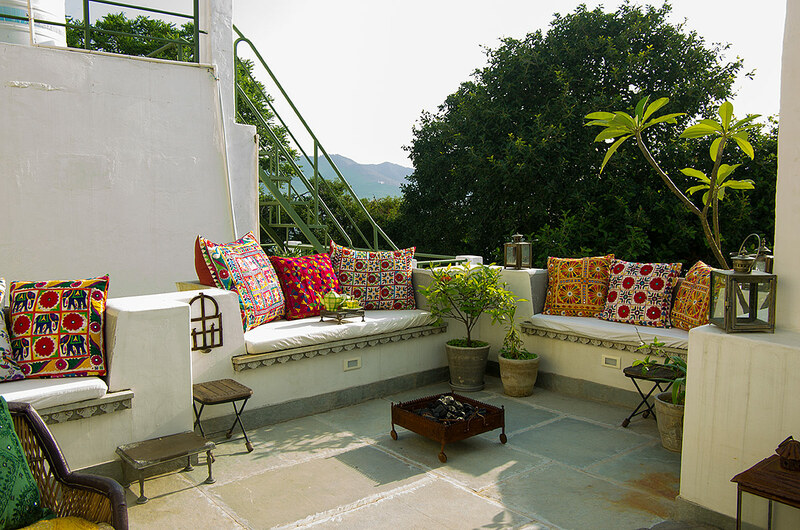 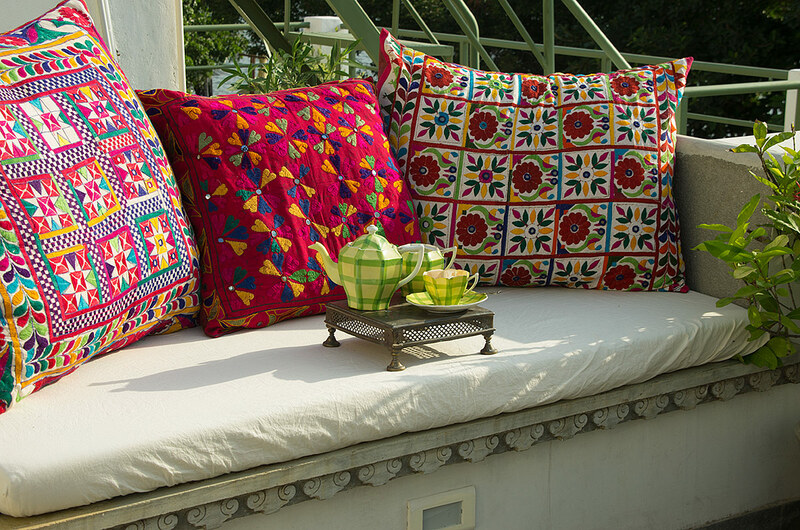 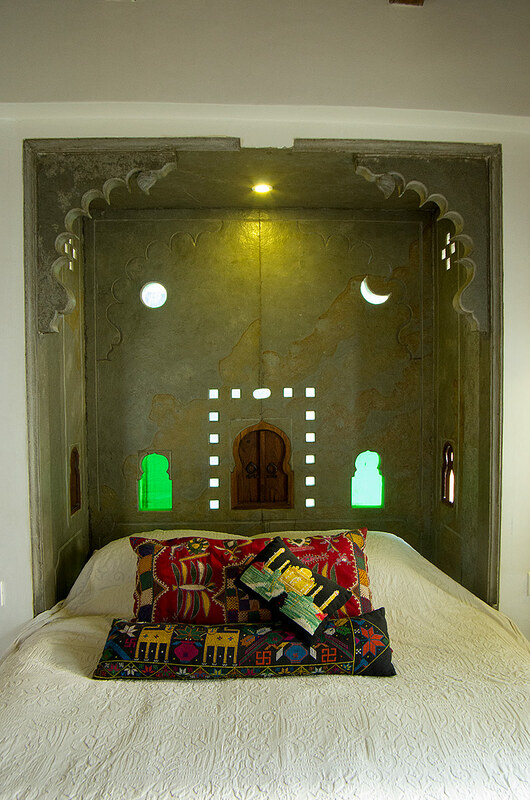 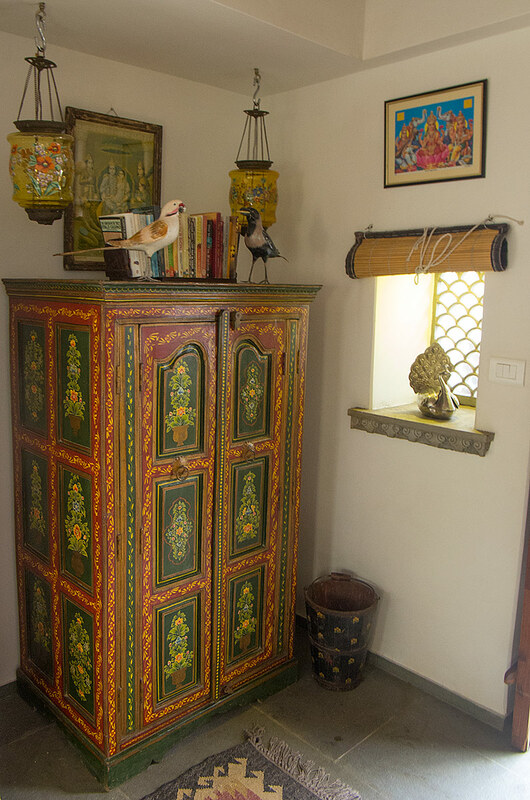 It is furnished with traditional antiques sourced from the local area and vintage textiles from Gujarat. 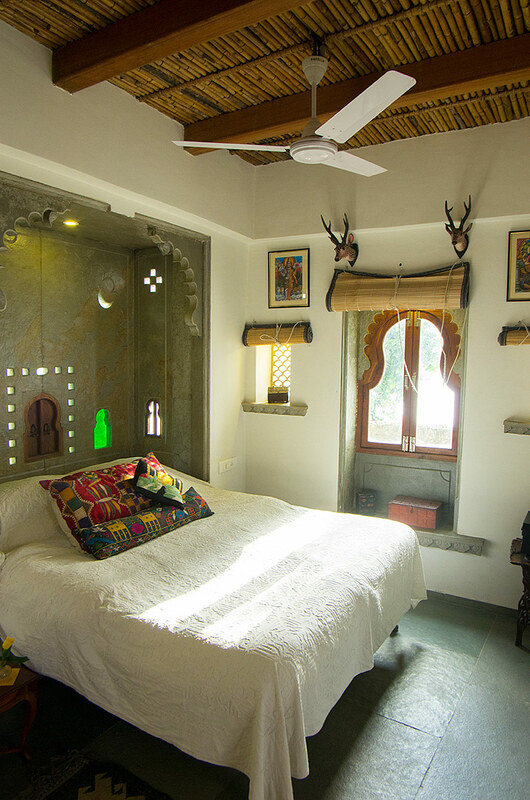 The bedroom has a luxury king size bed with hand made cotton mattress and the window looks out over the lake. 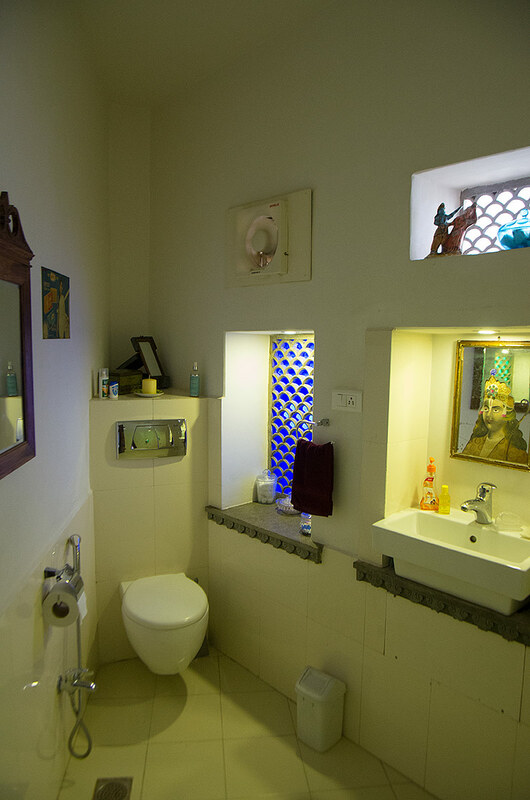 The bathroom boasts ‘the best power shower in India’, hair dryer and goodies for the guests. 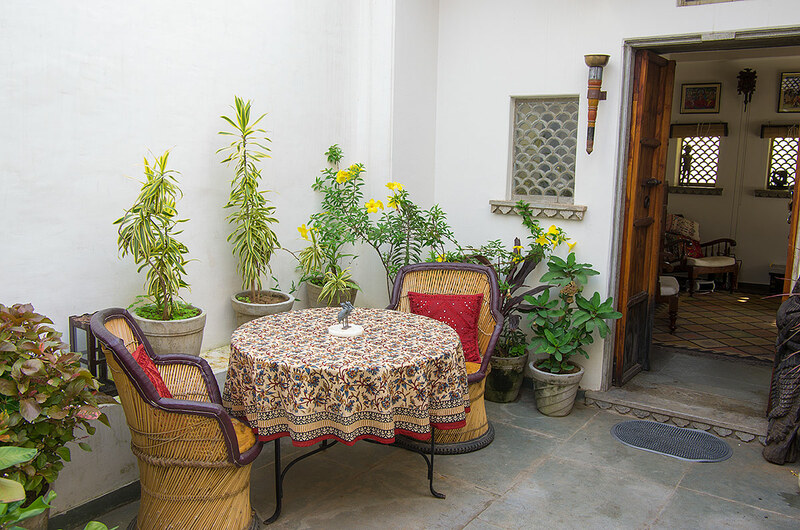 Outside the bedroom is the ‘breakfast terrace’ where guests enjoy their morning coffee. 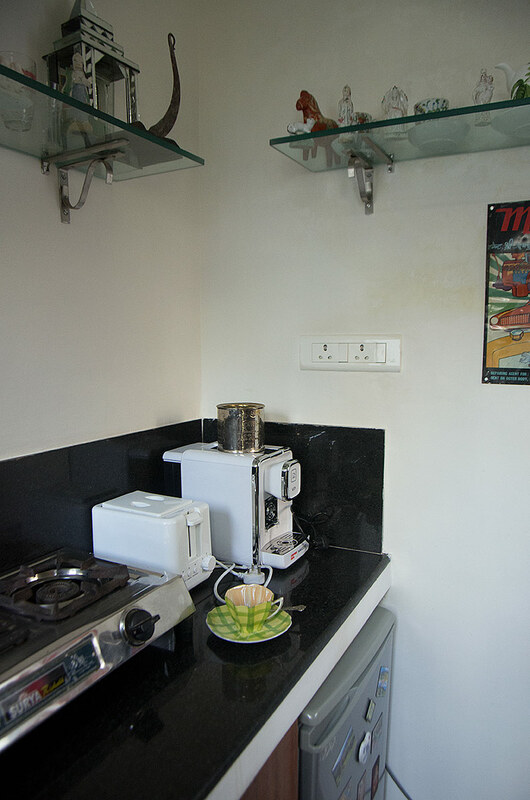 The kitchen is equipped with a 2 ring gas hob, fridge, coffee machine, cafetiere, toaster, pressure cooker etc. 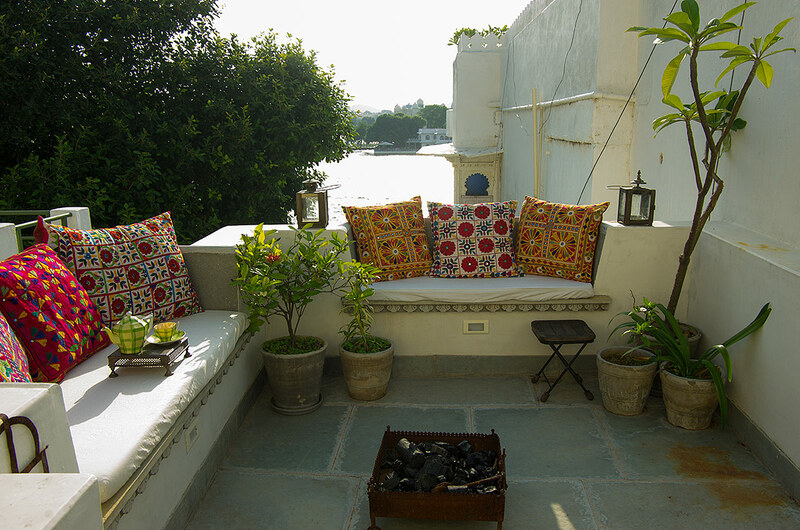 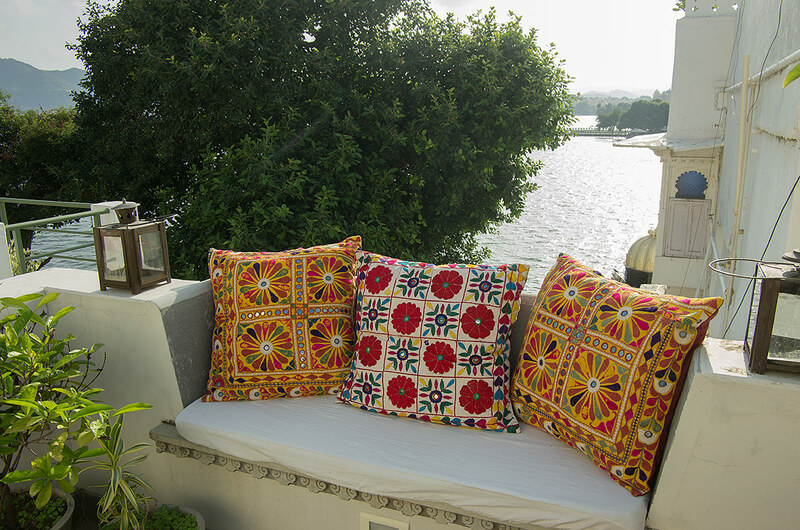 On the second floor, is the private roof terrace overlooking Pichola Lake and the Aravali Hills beyond. 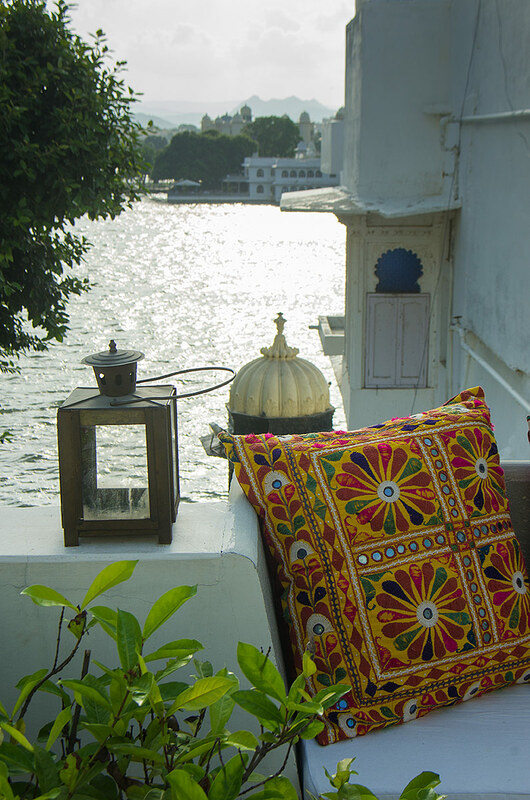 Super comfy cushions on the traditional hand carved stone jharokas make for cosy reading or relaxing next to the coal brazier in the evenings. 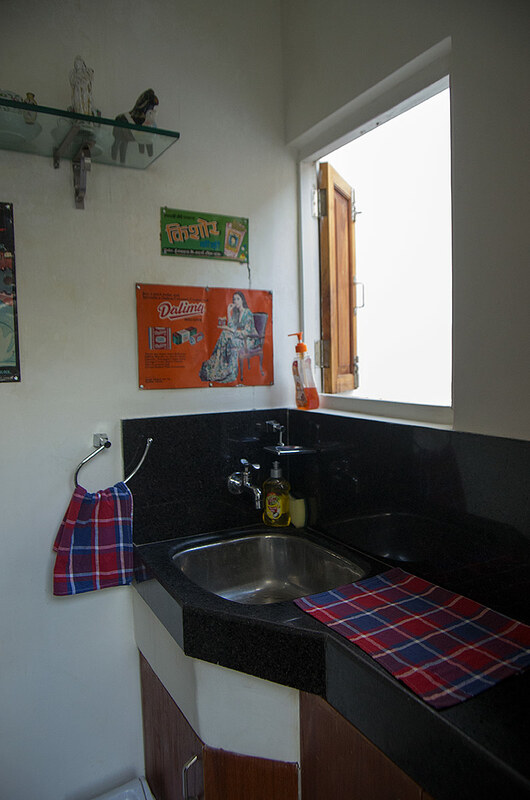 Ajju, my adorable housekeeper, comes daily to clean for the guests and treat them to her famous chai. 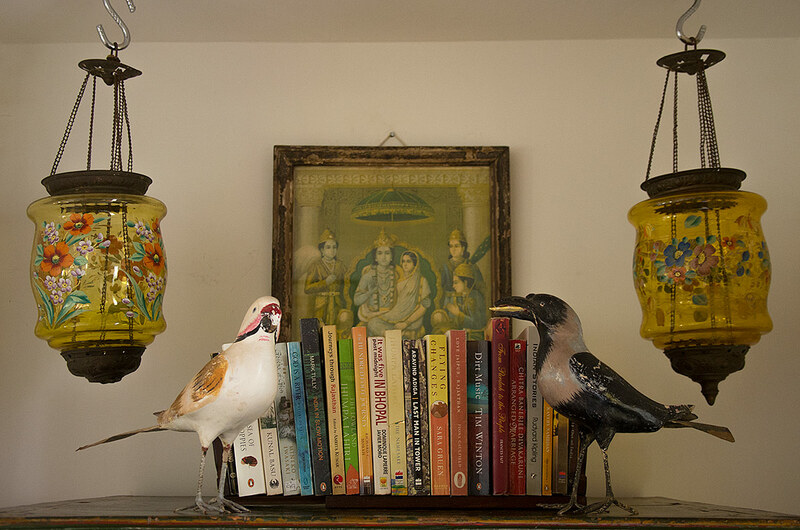 Either myself or Aditya is always available to assist guests with advice.